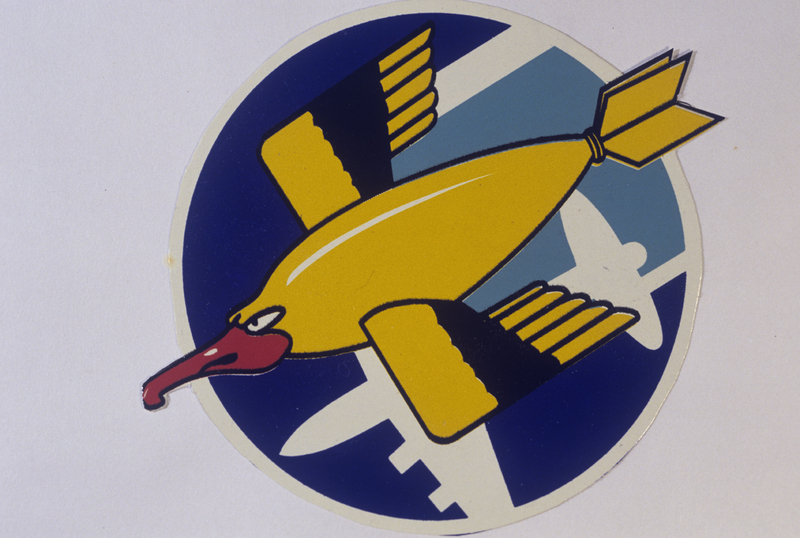 The insignia of the 91st Bomb Group. Top Turret Gunner with plane #44-6596 'Sweet Dish'. Plane badly damaged during mission on 5 December 1944. Faulkner and two others bailed out and were captured. Rest of crew stayed on board and pilot was able to nurse aircraft back to base. T/SGT Walter S. French Jr. (611) 31271747 was assigned from the 91st Bombardment Group to the 384th bombardment Group and further assigned to the 547th Bombardment Squadron on Station #106 Special Order #70, 14 April 1944.